Browse: Home / Aeon – a Network Attacking Tool. Aeon – a Network Attacking Tool. 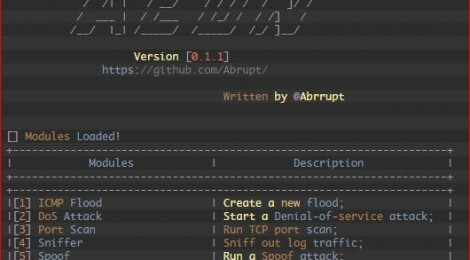 AEON is a web attack tool used for security and pen testing. Currently in beta/ Version 0.1.1. ← Updates Poet v-0.4.2 – A simple POst-Exploitation Tool.